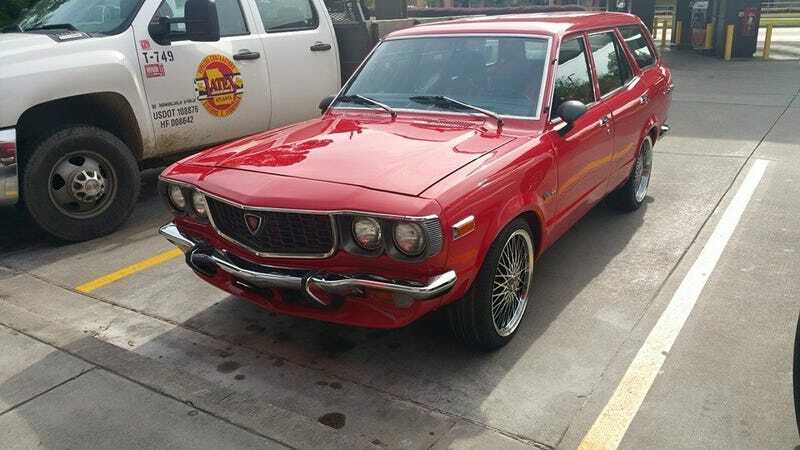 1973 RX-3 Wagon. SO COOL. Wish I had the space and didn’t already have two wagons, or I would snap this one up. Other than the wheels, very tastefully restored.